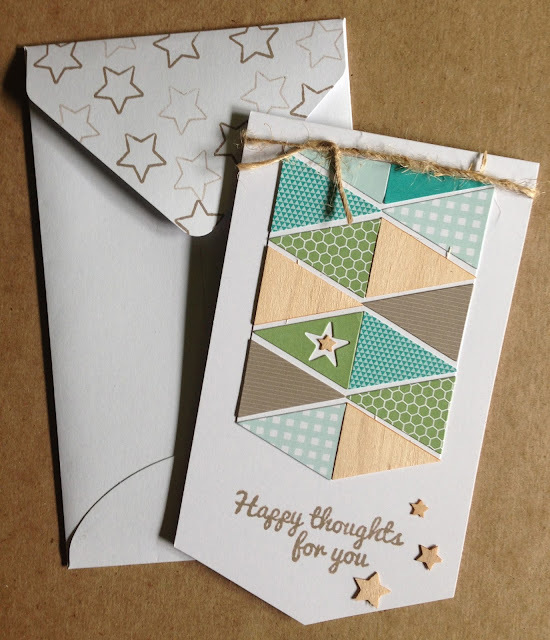 Today I'm going to share what I created with the other half of my June 2015 kit from My Paper Pumpkin. 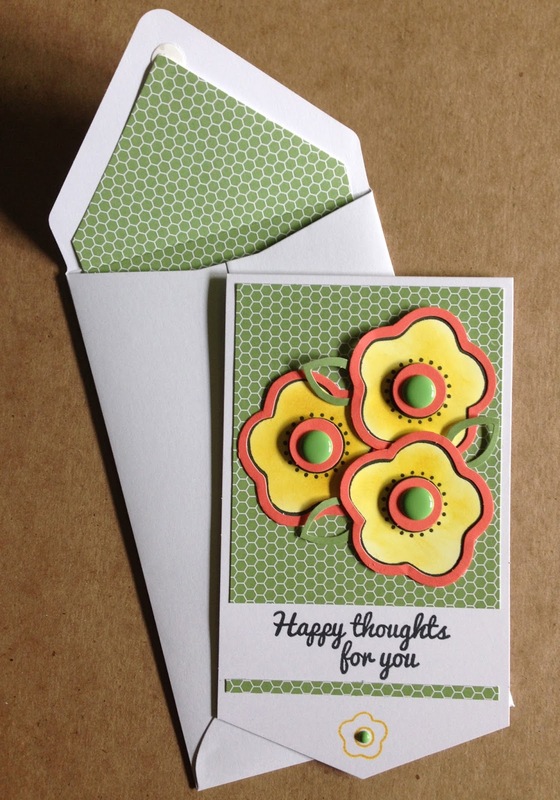 Check out my last post to see the flower cards. Today I'm going to show you what I made with the banner cards. 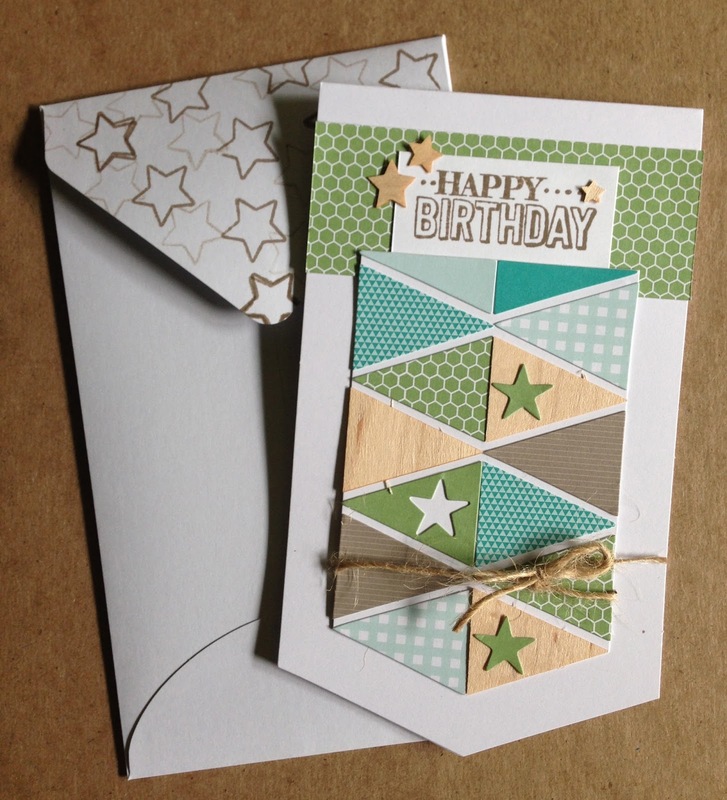 I created this card according to the instructions included it the kit almost exactly. 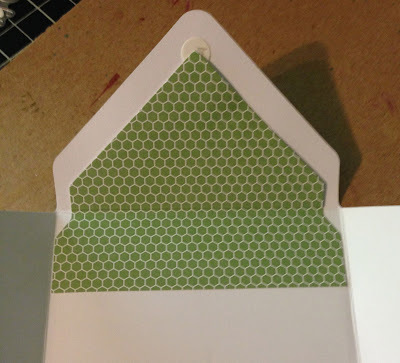 I just did a little extra stamping on the envelope flap and I added a little wooden star to the center of the star in the negative space of the sticker. 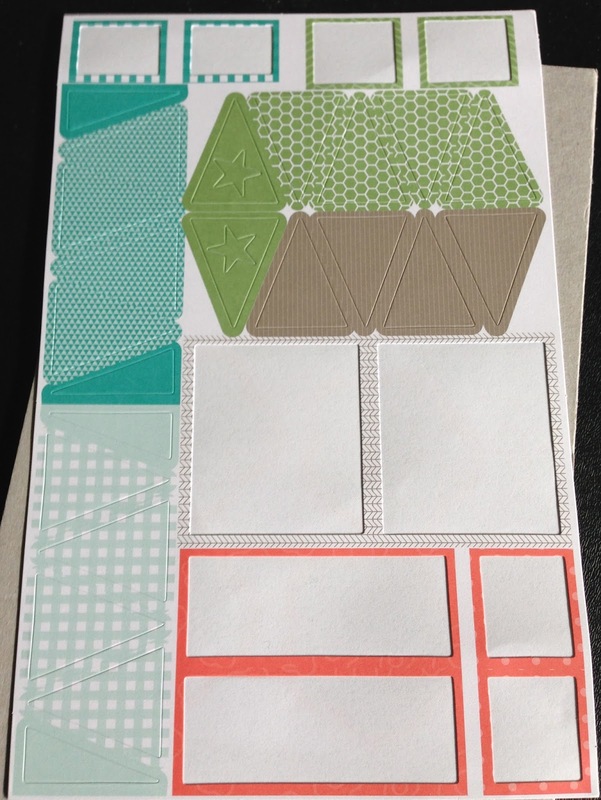 Yup, those little triangles are stickers! 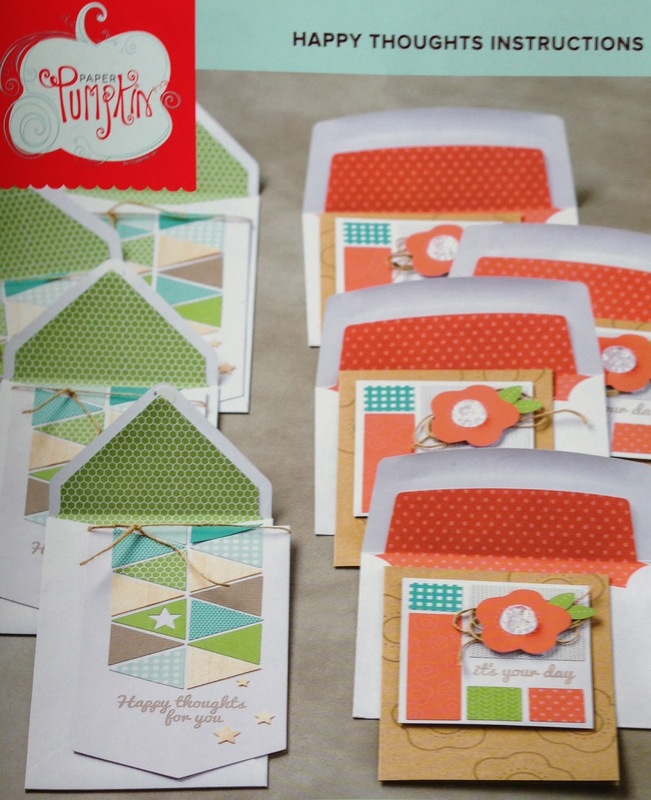 That's one of the reasons that I love the kits from My Paper Pumpkin so much! They are so easy! 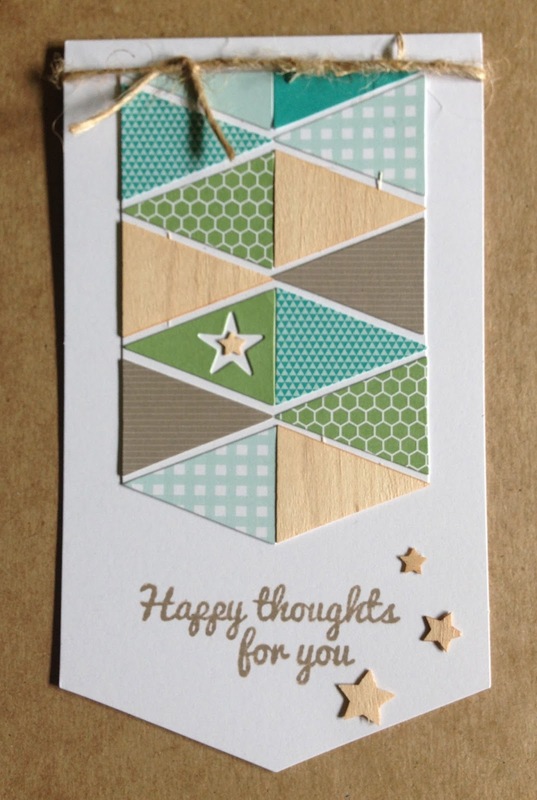 No measuring or cutting, just the crafty fun! I had a little time to play so I decided to use my remaining supplies for some cards with different designs. I have been loving Pinterest for alternate ideas! 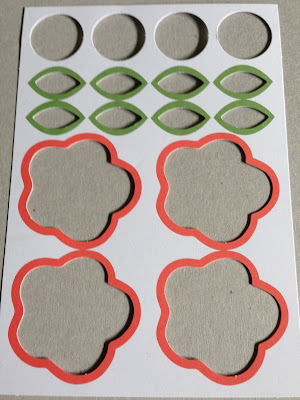 I have boards dedicated to each Paper Pumpkin Kit as well as many different Stampin' Up! 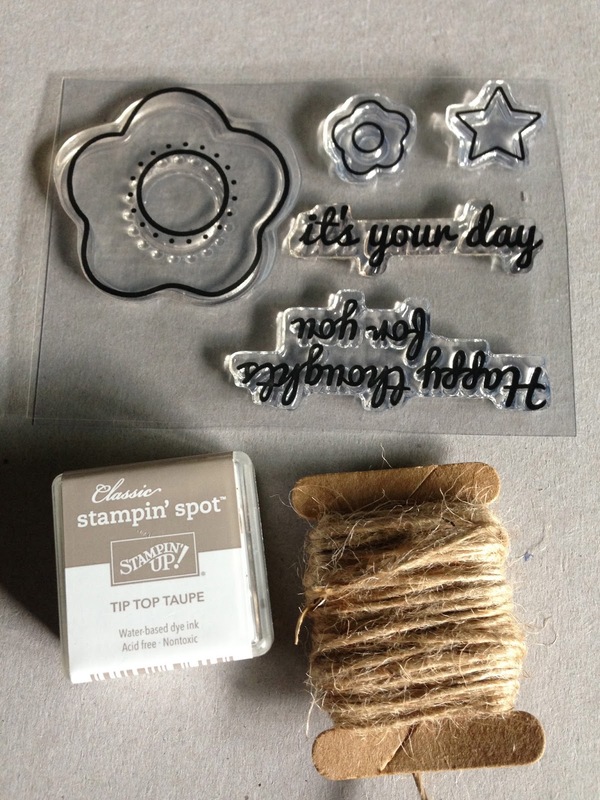 stamp sets so be sure to follow me on Pinterest for tons of inspiration! For this card I assembled the banner piece the same was as the first card but I tied the twine in a different spot and I added the two green stars from the sticker sheet to the wooden pennants. This is the sticker sheet from the kit after I made the flower cards in my last post. I used up all the stickers from this sheet on these two cards. Before I adhered the envelope liners I cut it down so I could use the portion that you wouldn't see anyway along the top of the card. Then I stamped the Happy Birthday sentiment from the SAB Big Day stamp set (NLA) in the Tip Top Taupe ink from the kit on a scrap of Whisper White card stock. 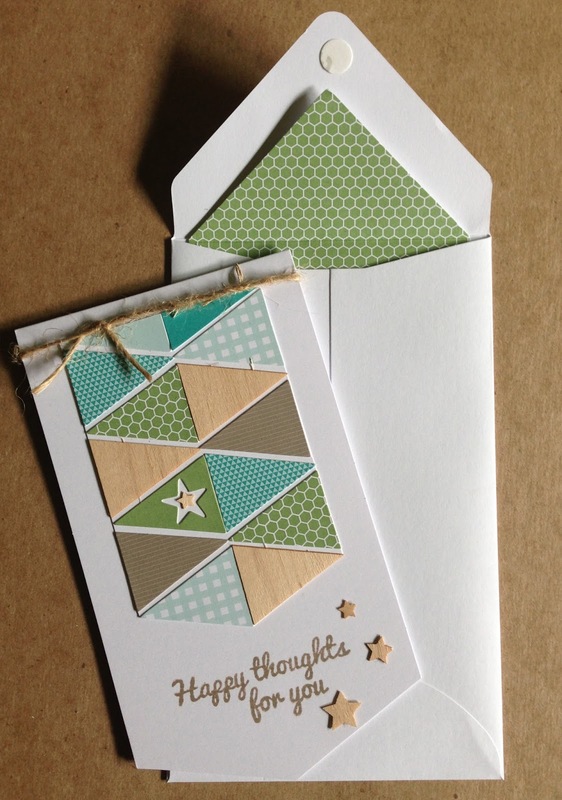 I added some of the wooden stars that came in the kit and I stamped the envelope again. For this card I trimmed down the envelope liner again so I could add it to my card front. I stamped one of the sentiments from the kit in Tuxedo Black Memento ink (132708 $6) and added a strip of the envelope liner underneath to frame the sentiment (and use up more scraps ;) Then I fussy cut the pieces leftover around the negative space of the flowers and leaves from the die cut sheet I used for my flower cards in my last post. I colored the flowers with Crushed Curry ink (131173 $6.50) and a Sponge Dauber (133733 $5.) 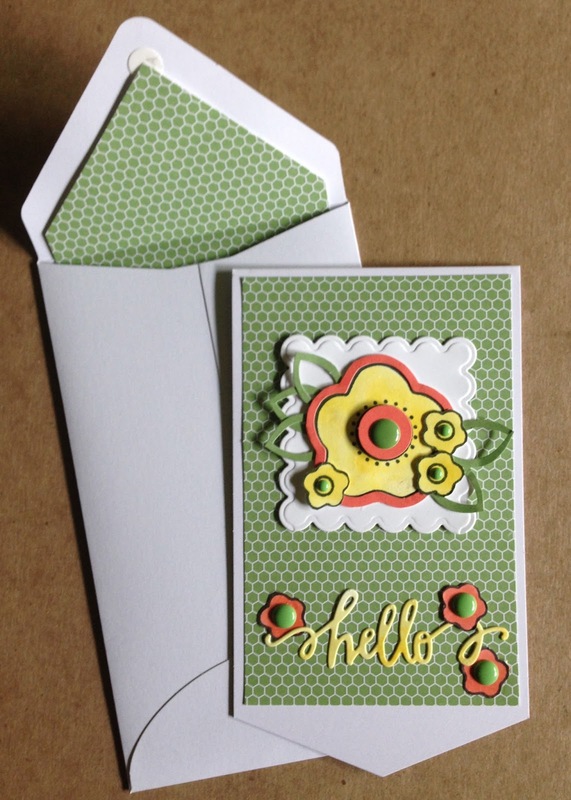 I added the scraps from the negative space from the center of the flower die cuts, popped them up with Stampin' Dimensionals (104430 $4) and added an enamel dot from my stash. I still felt like it needed a little something so I stamped the small flower on the bottom in Crushed Curry ink and added a tiny enamel dot. I got a little crazy with this card. It is simple to create, but I think it took me the longest because I kept moving things around. 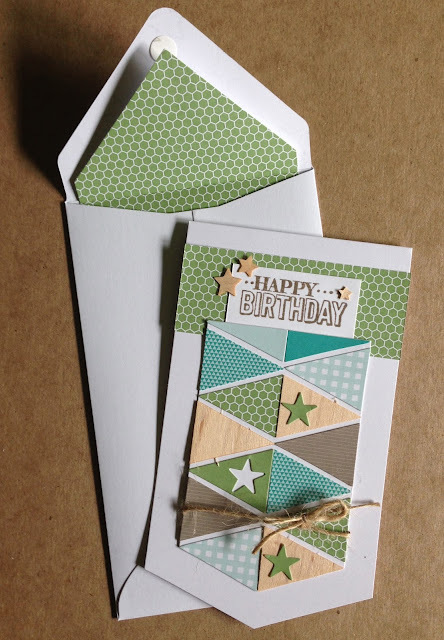 Shaped cards always throw me off. It's a bit out of the box for me, but whenever I challenge myself to try something different I usually love how it turns out in the end. I only had the negative space left from one big flower so a stamped one big flower and a bunch of the smaller flowers and colored them with sponge daubers and Crushed Curry ink and I colored a few of them with Calypso Coral ink (126983 $6.50.) 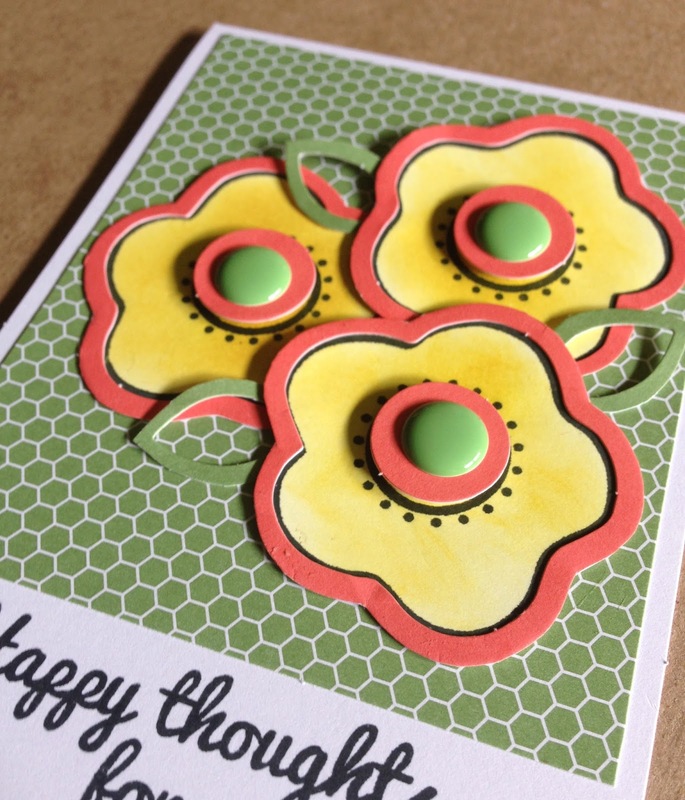 I added more enamel dots to the flower centers in various sizes. Then, I die cut a scrap of Whisper White card stock with a scalloped die from a We R Memory Keepers die set that came with my Evolution. 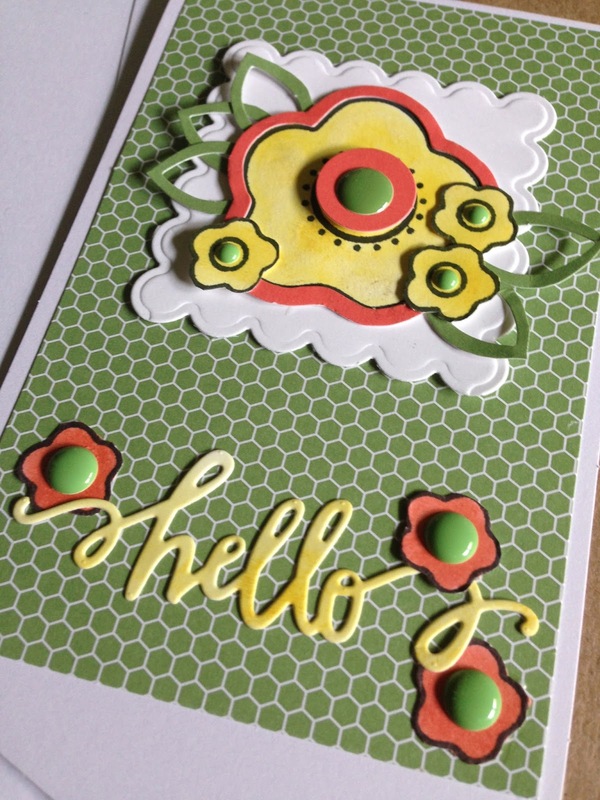 For the Hello sentiment I used a sponge dauber to color a scrap of Whisper White card stock with Crushed Curry before die cutting the word Hello with a Studio Calico die. I think this one is my favorite from the whole set! And, I still have more leftover! The kit is designed to create 8 cards and between this post and my last post I have 8 completed cards using the 8 card bases from the kit. I may just do a third post sharing what I make with the leftover materials and stamp set from the kit. That is one of my favorite things about the Paper Pumpkin Kits! Not only do you get all of the materials to perfectly create your cards, but you also get a stamp set and an ink spot that you can use over and over again on other projects!